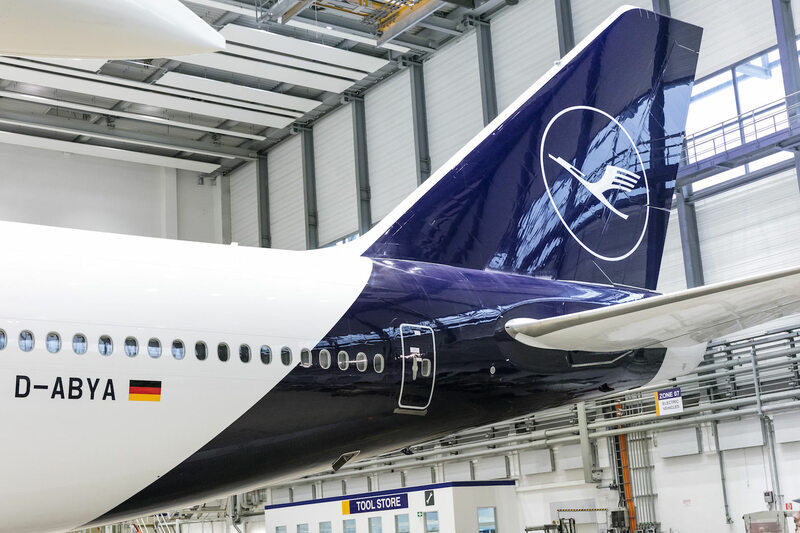 Lufthansa is set to officially unveil their new livery on 7 February and then take the first two freshly painted aircraft on tour. 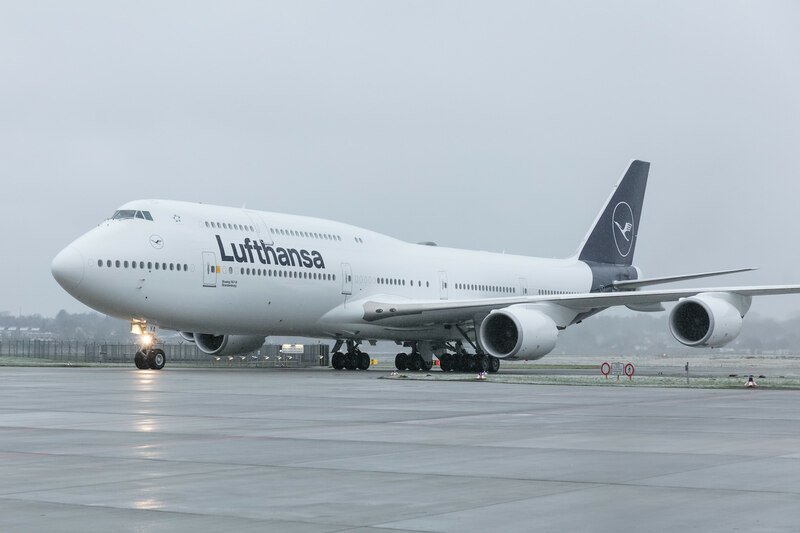 D-ABYA, the first 747-8I to wear Lufthansa’s revised livery, will tour Germany, while D-AISP, the first A321 in new paint, will visit airports in Germany, Italy, and France. 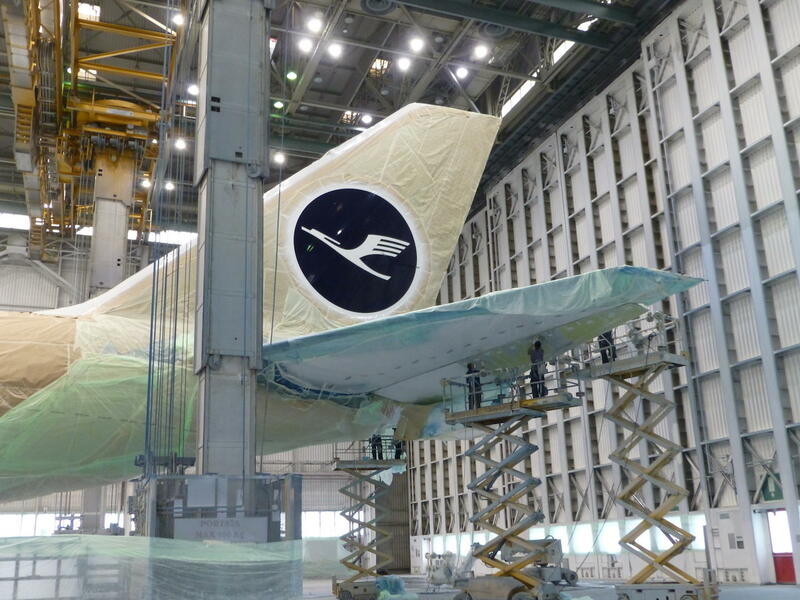 We’ve made it very easy to follow the special flights and see details of the new livery. 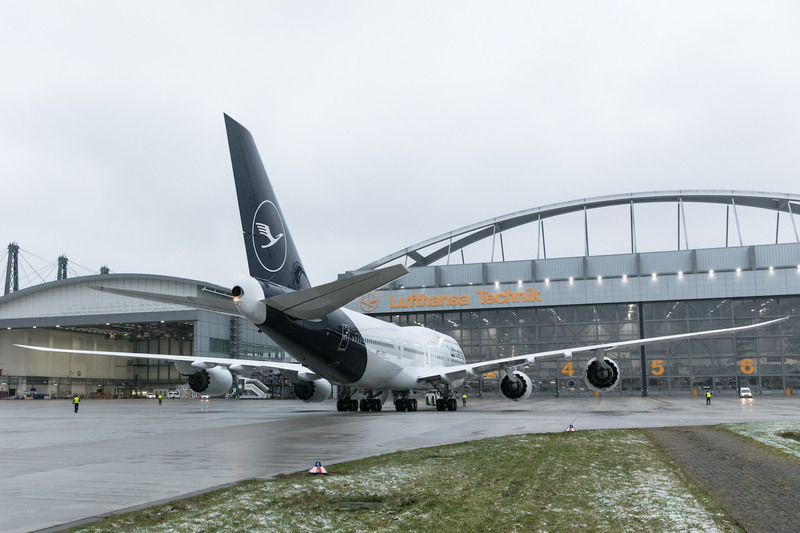 The iconic Lufthansa crane celebrates its 100th anniversary in 2018, so Lufthansa took the opportunity to celebrate with a revised livery. 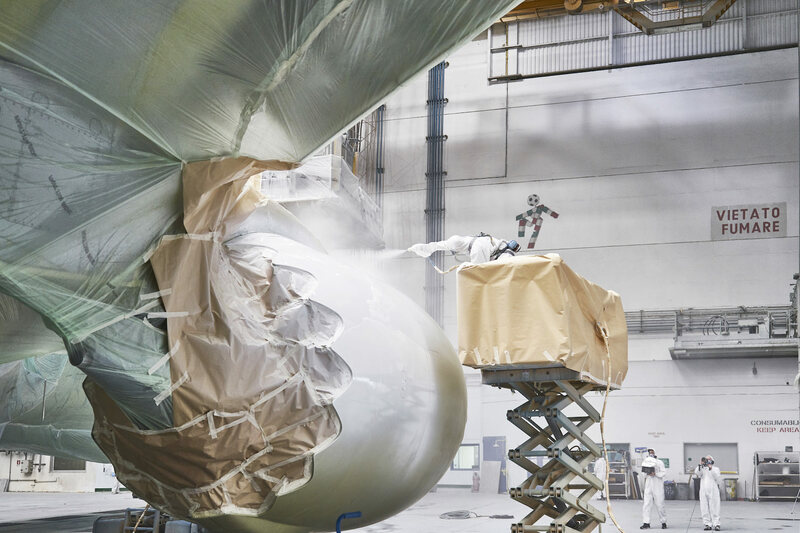 You can see some of the process and the final product on D-ABYA ‘Yankee Alfa’ below. 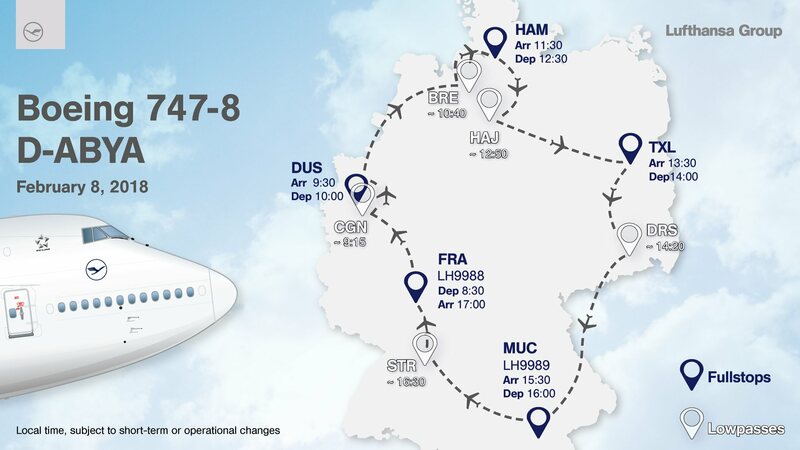 On 8 February, 747 D-ABYA will tour Germany, making stops or low passes at 9 airports. Follow along on the map below whenever D-ABYA is active or you can search D-ABYA on Flightradar24.com at any time to see a live flight or playback of previous flights. The full route and estimated schedule are listed below. 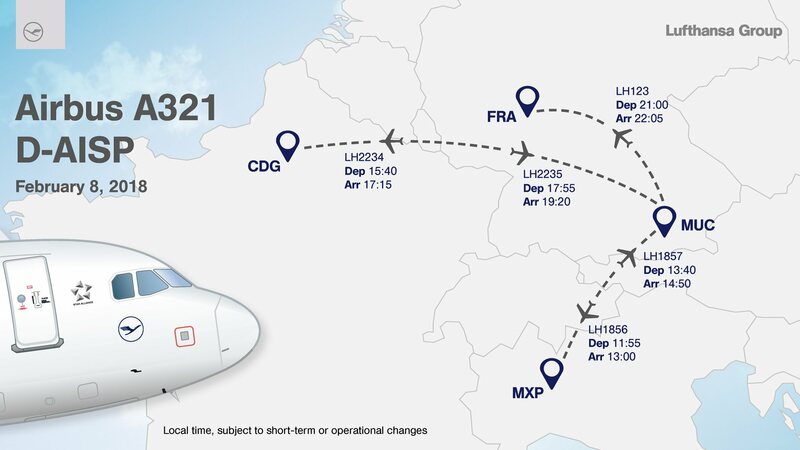 Also on 8 February, A321 D-AISP will tour Germany, Italy, and France, visiting Milan, Paris, and Frankfurt from its base in Munich. Follow along on the map below whenever D-AISP is active or you can search D-AISP on Flightradar24.com at any time to see a live flight or playback of previous flights. The full route and estimated schedule are listed below. 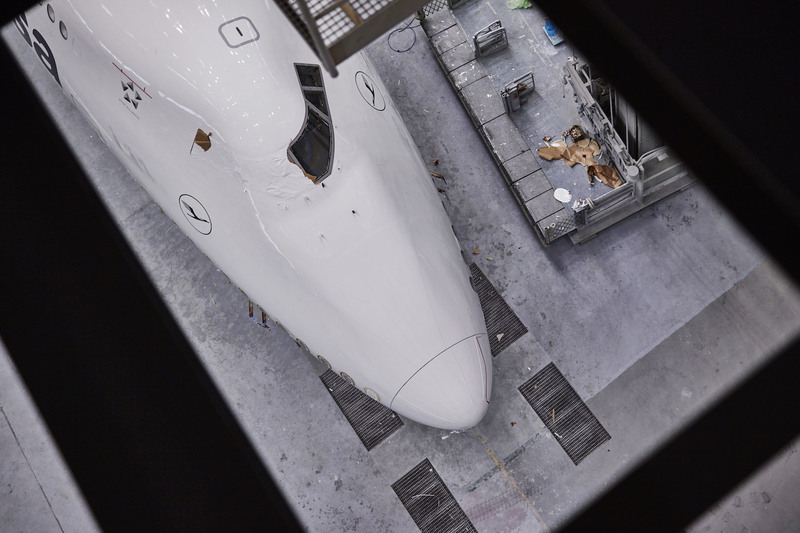 Images courtesy Lufthansa unless otherwise noted.